The world’s biggest Windsurf magazine SURF in Germany once again asked its readers to vote for the “Surfer of the Year”. 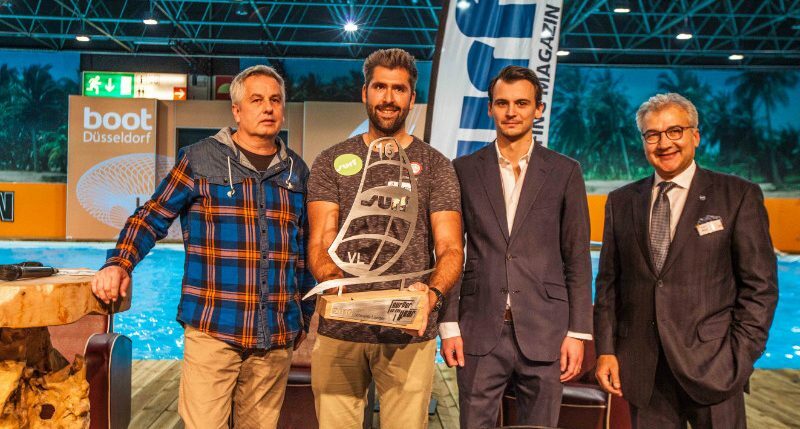 The award is going on for years in a community action between SURF magazine and the boat show in Düsseldorf. In total, more than 1.900 SURF readers voted on surf-magazin.de for their favourite rider. Ten national professional windsurfers, who delivered outstanding achievements in 2016, were selected. 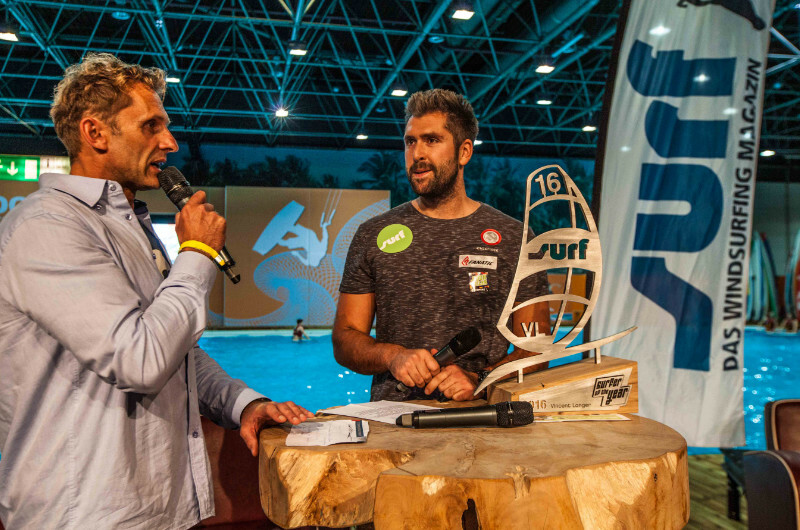 With loud applause, SURF chief editor Andreas Erbe welcomed the new title holder Vincent Langer on the stage on Saturday afternoon on the boat show in Düsseldorf. 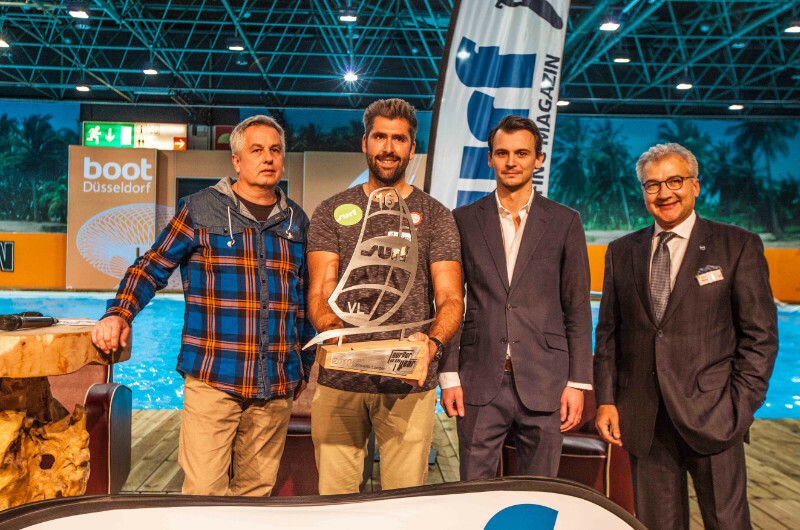 With 21 percent out of the 1.900 votes, Fanatic´s Vincent Langer secured the coveted title for the first time in the ten-year history of the “Surfer of the Year”. His fourth German overall title (including German Champion in Slalom and Racing) and the IFCA World Champ win for sure counted to Vincent’s most emotional moments in 2016. But also in the PWA World Cup he showed that he can mix in with the big ones. In addition, Vincent Langer takes care of Germany´s young windsurfers and organizes very successful kids camps, where he prepares the youngsters for competitions and more. Congratulations Vincent – super happy for you and big thanx to all SURF magazine readers who voted for him!